Fruit and vegetables are the perfect addition to any play kitchen or market. 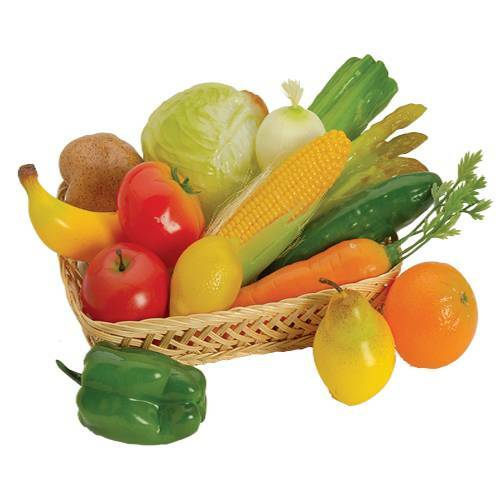 Your little one will delight in realistic look of this plastic produce. With 15 pieces, this is a great play food toy set that complements any play kitchen set, but can be used on its own for fun and educational play.